GEO Radius Search 2.7 is hear and I have to say it has not come with little effort or thought. This release has significant code enhancements that added several new features, resolve several minor bugs, UI tweaks and dramatic improvements in performance. The process of reorganizing code has allowed GRS to get even closer to supporting other CCK tools and the ground work has already been started for K2 and JomSocial. In addition we have a couple new “surprise” features in the works that will truly make GRS much more useful for a wide variety of innovative applications. See the release article for all of the updates and changes. Technical support is usually one of the more challenging aspects of software development on small scale development budgets. As a small team we have to put focus on generating quality bug free code and making the user experience as intuitive as possible. With that said we do feel there is room for improvement and we are committed to this end. We do want to apologize to our current customers for recent slow response times on our support. Internally we have made a lot of logistical changes like relocating our office and other stuff in addition to some aspects of hibernation over the winter to improve and reorganize the code. With the new core aspects of this application now better defined we will be able to bring on and train additional support staff and respond more effectively as we move forward. One of the ongoing challenges we have noticed with support for GRS is the grey area between what is assumed to be an issue with GRS vs. an issue with a particular web installation. 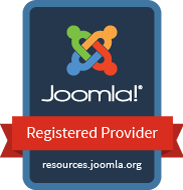 Sometimes given the technical nature of configuring ZOO, numerous Joomla versions and all of the related extensions sometimes adds confusion to implementing our solution effectively. Consequently as we are in an aggressive development phase in the project redoing our training and documentation and screen shots every 3-6 months is a laborious process and though helpful takes away from the technical advancements of the application itself. What we plan to do as part of our next release is to have a distribution package that not only has an optimized template but sample data so you can quickly set up and configure a GEO Radius Search solution by following preconfigured examples. Another option for you to resolve conflicts within your system is to purchase our installation service where we will work through resolving any configuration or version problems or incompatibilities with your installation. With that said, please know that we are committed to developing great and useful software as well as improved response times in all of our communications. So this has been a quick glimpse into our journey and plans for the future. We hope you enjoy this new software and we look forward to seeing all of the great things you can do with it.